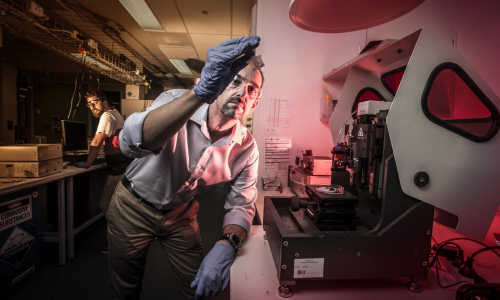 4D printing is unfolding as technology that takes 3D printing to an entirely new level.The fourth dimension is time, shape shifting in fact, and the ARC Centre of Excellence for Electromaterials Science (ACES) at the University of Wollongong is helping to set the pace in the next revolution in additive manufacturing. Just as the extraordinary capabilities of 3D printing have begun to infiltrate industry and the family home, researchers have started to develop 3D printed materials that morph into new structures, post production, under the influence of external stimuli such as water or heat – hence the name, 4D printing. “The cool thing about it is, is it’s a working functioning device that you just pick up from the printer,” he said. The above story is based on materials provided by University of Toronto Faculty of Dentistry. An end to cancer pain?